This is the latest in a pair of new offerings from wilderness-lodge purveyors Nellim – a special favourite among our clients for their considered blend of comfort and authenticity. And, this iteration is no different. 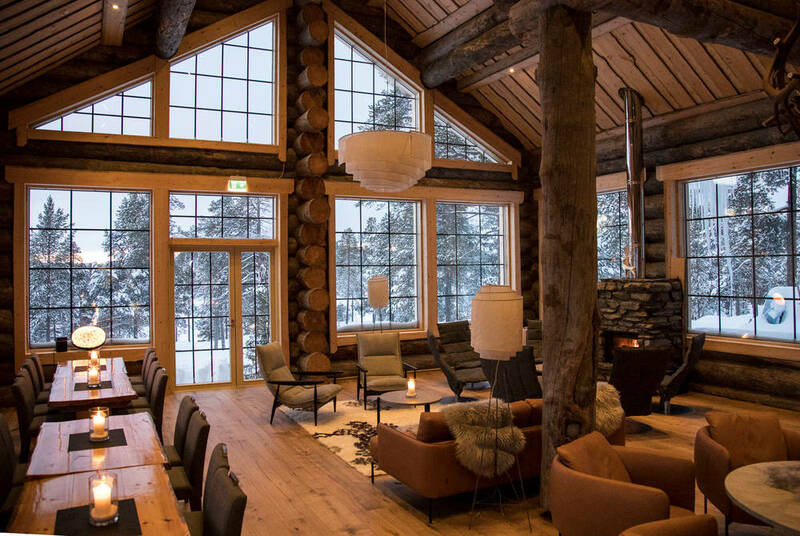 Although beautifully poised on the southern shores of Lake Inari in the depths of Finnish Lapland, Hotel Nangu is just a flight hop away. 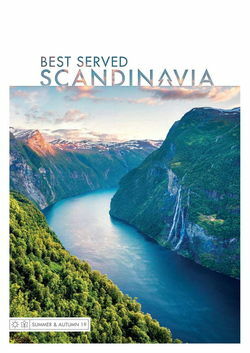 Expect cosy respite combined with a full spread of adventure activities under the Northern Lights and Midnight Sun. While it’s open to all for summer fun, the hotel is adults only over the winter months, making it an ideal retreat for couples or groups of friends. 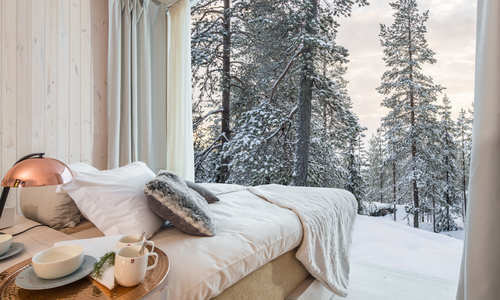 The clue is in the name, this unique lodge adds a touch of chic to the log-cabin aesthetic. 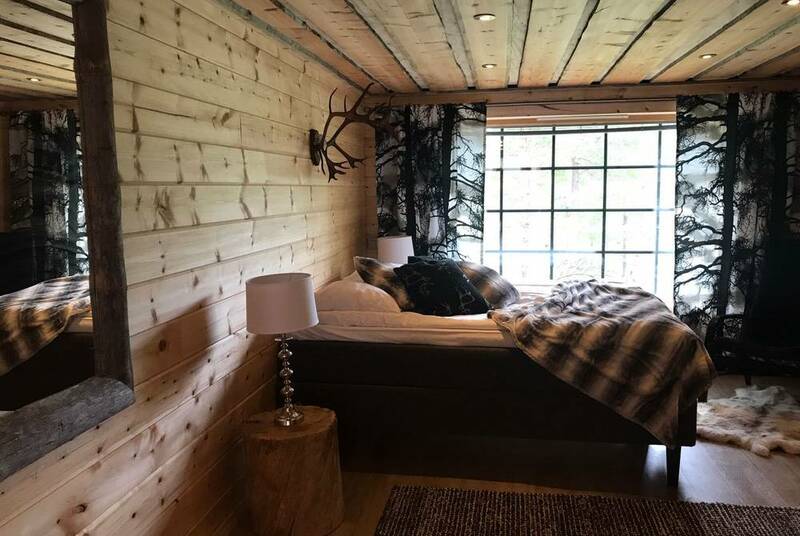 As such, along with all the traditional blonde-timber charm, there are designer lamps, graphic-print curtains and even matt-black antler fixtures. It’s all bathed in a warm glow from carefully chosen down-lighting. There’s also a collection of five Superior Rooms. 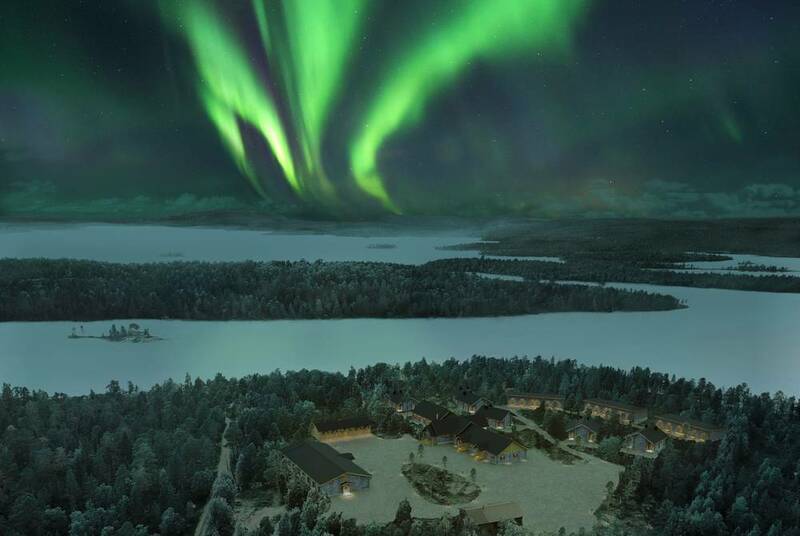 Housed in a separate building, each has its own private entrance and picture windows that host panoramic views over Lake Inari and, perhaps, front-row views of the Northern Lights. One even comes with a private sauna. 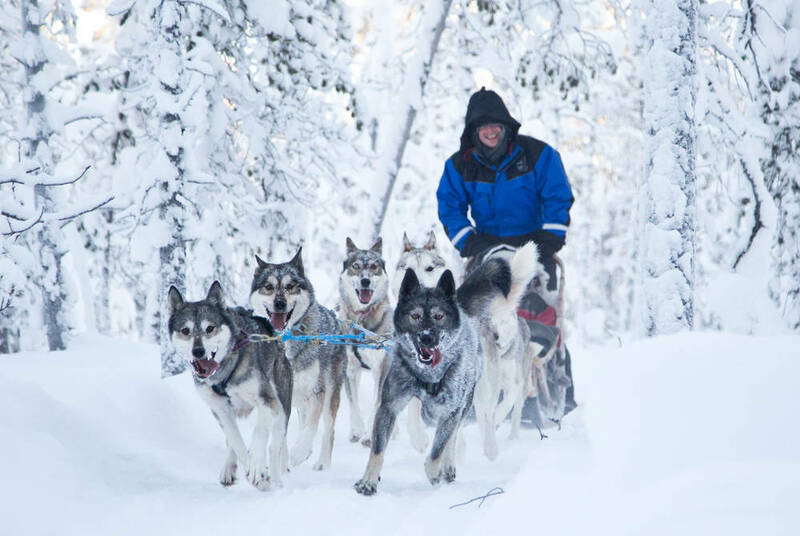 At Nangu, your days are all about exploring the Lappish wilderness. 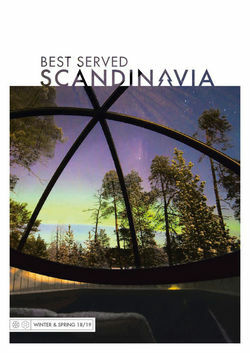 Of course, it’s the Northern Lights that are often the stars of the show, with a full spread of ways to experience them. 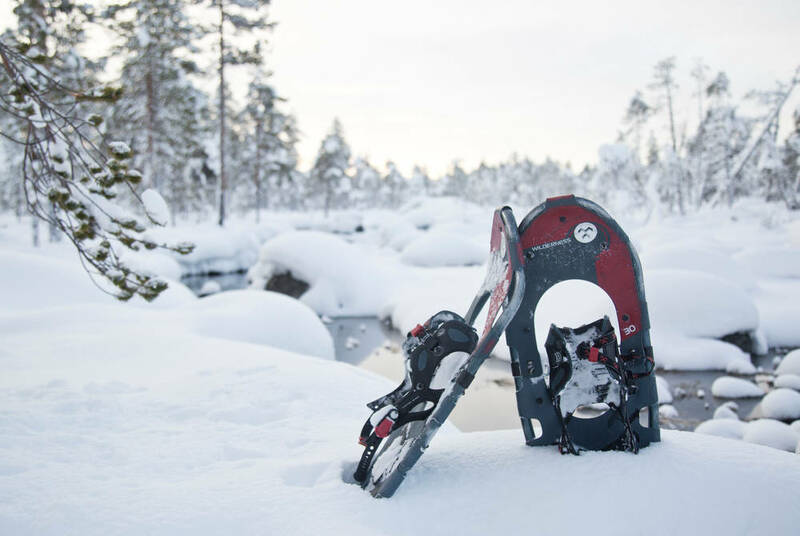 There’s everything from snowshoeing to sledge rides and snowshoeing. 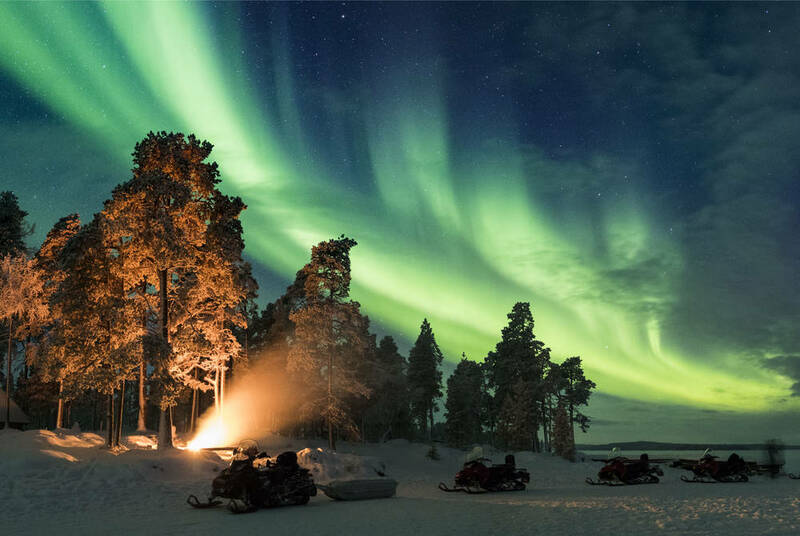 Then, during the day, head onto Lake Inari’s frozen expanse by husky sled, on an ice-fishing experience or by cross-country skiing. 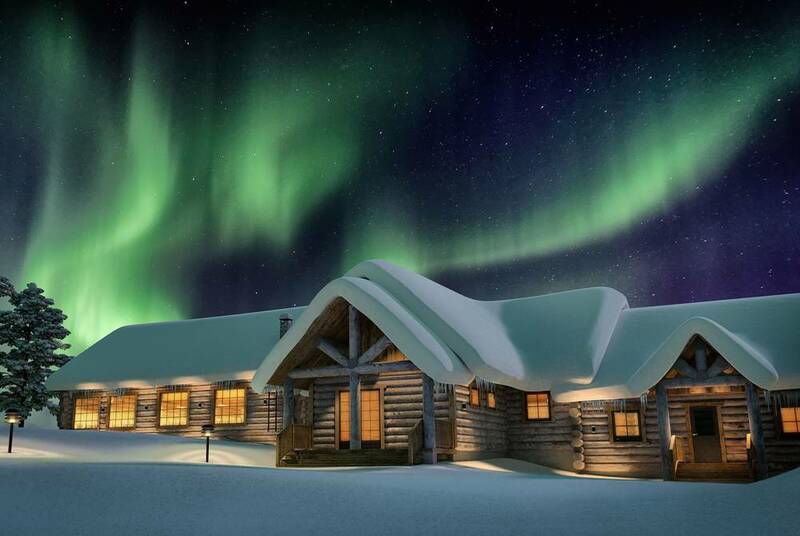 This being Lapland, you can even visit a local reindeer farm. Here, you’ll meet with a herder to learn of this traditional Sami way of life before getting up close to the reindeer themselves. Can’t decide? Book onto one of our packages for a curated itinerary. 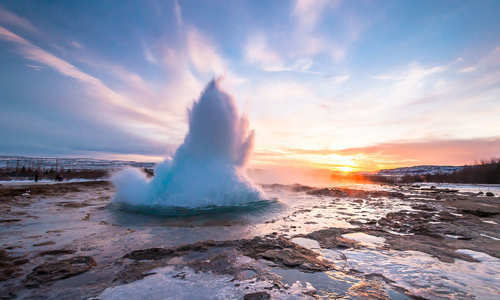 Alternatively, consider travelling over the warmer months when the Midnight Sun is ablaze and a whole host of summer activities open up.